Let’s imagine you’re considering the purchase of a Palm Springs area condo. What’s really important to you? The old adage of "location, location, location," is repeated three times to emphasize the importance of location. It basically means that similar or identical homes or condos can be valued differently based on their location. Homes and condos offering views are one of the most requested location options here in the desert. And since outdoor living is so popular here, sweeping views can and will add value and enjoyment to an identical home or condo with limited or no views. 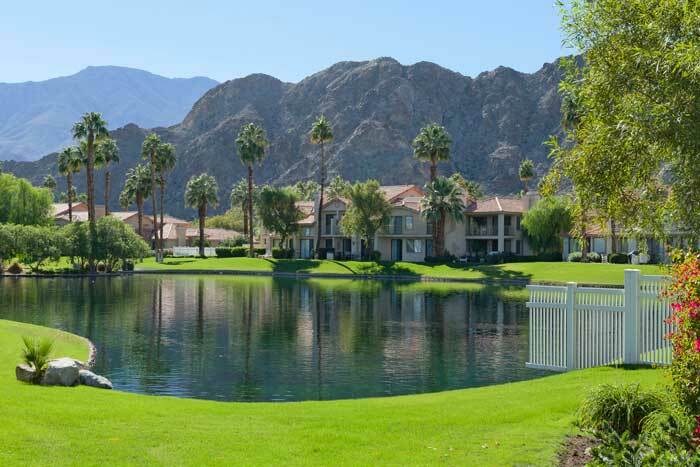 Consider this newly listed condo at PGA West in La Quinta at 54973 Tanglewood. The waterfront location offers great views in and of itself, but add sweeping southern views of the nearby Santa Rosa Mountains and the result is–you guessed it–location, location, location! PS: This homes community pool and spa is located on the lake just steps away past the little white fence on the right.